It seems every year there is a sigh of relief when the weather in Lincoln, Nebraska begins to trend toward spring like temperatures. Gone is the brutally cold and gray days of winter, replaced by sun, greening of yards and budding trees. Many of us forget about the moisture that comes with the spring season until there is water in the basement and it has taken our important components or completely ruined your furnace and water heater. Unfortunately for many throughout the surround area of Lincoln, NE flooding has already become a devastating reality. Our thoughts go out to everyone who has been displaced from their home or clinging on for hope that flood waters will subside before they are evacuated. Lincoln has not been as greatly impacted by moisture, but there will be plenty of rain ahead which is why we want to remind homeowners of some simple steps to keep your home dry. Remember this winter has been one of the snowiest in years and now that things have melted the soil around your home is already fairly saturated, making the following spring checks all the more important. It’s been cold, snowy and icy this winter which means you haven’t checked those gutters. If you have Oak trees in your neighborhood there’s a good chance your gutters have collected more leaves since the last time you’ve checked them. Time some time to check for and clean out anything that could impede drainage. 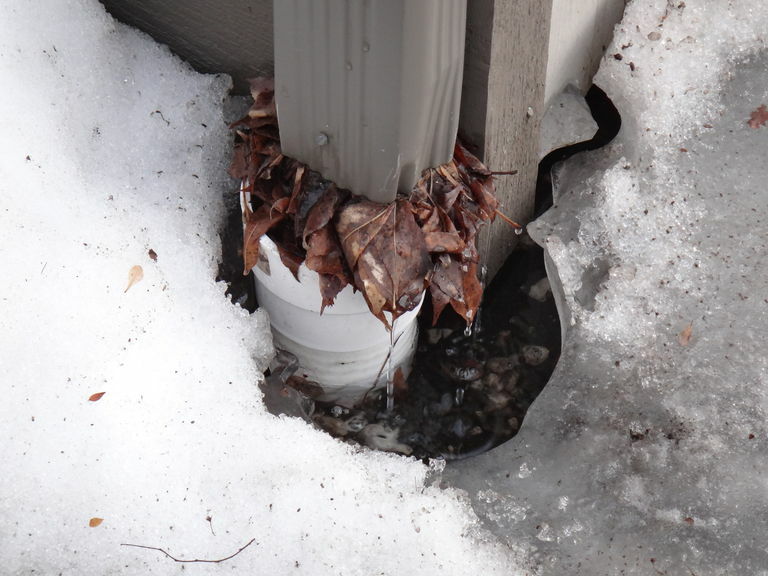 Make sure not only your gutters are clear of blockage, but the downspouts as well. Make sure that all the downspouts on your home are sure to cast the rain water away from your foundation. If you utilize splash blocks for this make sure the ground beneath them has not eroded and they are slanted away from your home. 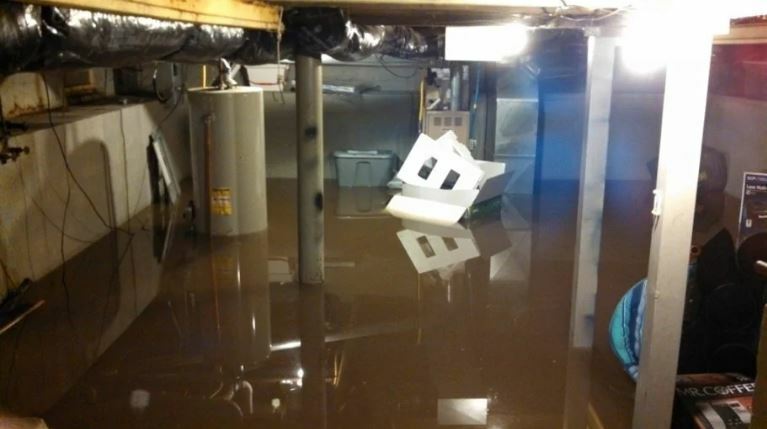 Keeping every bit of water away from your basement is crucial to keeping it dry. Last years rains and the snow melt could have changed the lay of the land around your home a bit. Take time to look around your foundation to make sure things have not eroded to the point that the ground is now sloping back toward your home. It doesn’t take much before the low spot near your foundation becomes the source of entry to your basement. Add back in dirt or rock to keep rain water flowing away. If your home has a sump pump that hasn’t already been running recently take a moment to pour some water into your sump pit until the float raises and kicks the sump pump on. Make sure once the pump turns on that it is in fact pumping water out and the water level goes back down. This is a quick test that can save you a lot of money should you need your sump pump this spring. As the buds begin to grow on the trees you can be sure the roots in the ground are growing as well. If they have already grown their way into your sewer drain, you can assume they will be again. This makes it even more important that you are sure to watch what is going down the drain. Make sure to only flush water soluble items. Keep grease from the kitchen sink and throw away food scraps rather than running them through the garbage disposal. If you basement get water and you need help remember Bryant has highly trained plumbers and HVAC technicians ready to help inspect or replace the major appliances you count on daily. Contact us online or by phone to schedule an appointment.